Shihab al-Din Abu al-'Abbas Ahmad Ibn al-Majdi (1359–1447 CE) was an Egyptian mathematician and astronomer. We publish this short article to celebrate the memory of his passing away in Cairo on 27/28 January 1447. Ibn al-Majdī, whose full name is Shihāb al-Dīn Abū al-'Abbās Ahmad ibn Rajab ibn Taybughā al-Majdī al-Shāfi'ī (1359–1447 CE) was an Egyptian mathematician and astronomer. He was born in Cairo (Egypt) in August 1366 and died in Cairo (Egypt) on 27/28 January 1447. 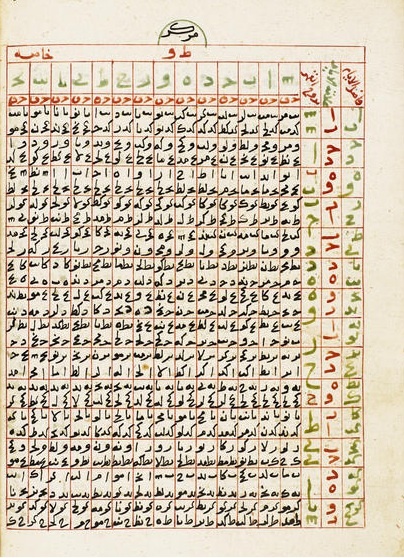 Figure 1: A page showing a sophisticated zīj table from Ibn al-Majdi, Al-Durr al-Yatim fi Sina'at al-Falak wa Taqwim, also known as Zij ibn al-Majdi, treatise on astronomy, copied by Ali bin Yusuf al-Rifa'i al-Tuluni, North Africa, dated 1064 H/1653 CE. Ibn al-Majdī was one of the major Egyptian astronomers during the first half of the 15th century. He occupied the positions of muwaqqit (timekeeper) at al-Azhar Mosque and of "head of the teachers" at the Jānibakiyya madrasa (privately endowed religious college). Historical records attest that the prolific author of astronomical texts Abū ‘Abd Allāh Muhammad Sibt al-Māridīnī (1423-circa 1495) was among his students. Ibn al-Majdī received a traditional religious education in the fields of Quranic studies, the prophetic traditions (hadīth), jurisprudence (fiqh), and Arabic grammar and philology. He also became an expert in arithmetic, geometry, the algebra of inheritance, theoretical astronomy (hay'a), and the science of timekeeping (mīqāt). He learned the mīqāt under Jamāl al-Dīn al-Māridīnī, who had been a student of Ibn al-Shātir, the celebrated astronomer of Damascus. Ibn al-Majdī became a highly regarded teacher in most of these scientific disciplines and in mathematics. Virtually all of his younger contemporaries and immediate successors who were active in astronomy in Cairo were his pupils at one time or another. A prolific and competent writer, Ibn al-Majdī played an important role as a didactic author; his writings were still read and commented upon in Egypt in the late 19th century. Figure 2a-b: Two pages, showing respectively high quality astronomical drawings and the colophon, from the manuscript of Ibn al-Majdi's treatise Irshad al-ha'ir ila takhtit fadl al-da'ir (Guide to the Right Path for the Perplexed in Drawing [Lines] of Surplus of Turn'). Treatise on drawing horary lines on the sundials in three parts: on horizontal sundials; on vertical sundials; on oblique sundials, copied by 'Ali bin Hasan, Near East, dated 886 H/1481 CE. 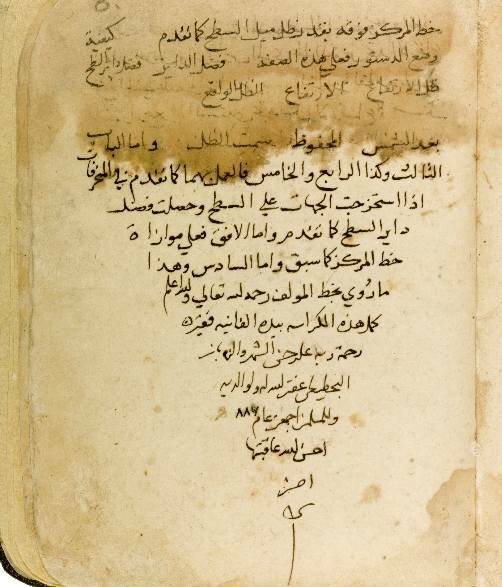 Among his mathematical works, most of which are still in manuscript form, we may mention: Al-Mubtakarāt fī al-Hisāb and Hāwī al-Lubāb wa-Sharh Talkhīs al-Hisāb, the latter being a voluminous commentary on Ibn al-Banna's Talkhīs A'māl al-Hisāb by the Moroccan mathematician Ibn al-Bannā' al-Marrākushī (1256-1321). 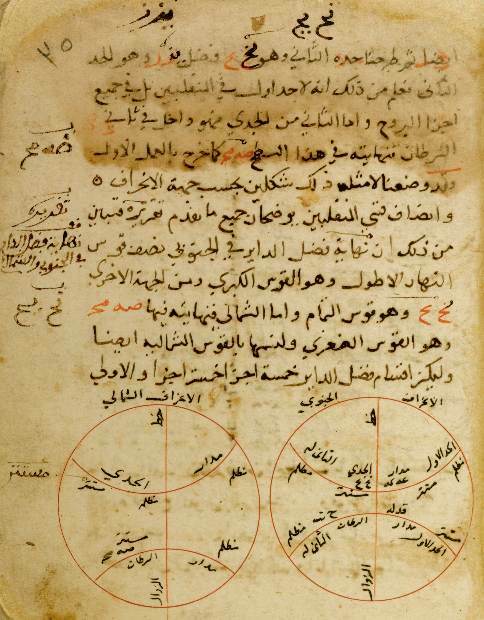 Ibn al-Majdī's numerous astronomical treatises deal with a wide range of topics. Several of them are devoted to the compilation of annual ephemerides, notably his important treatise Jāmi' al-mufīd fī bayān usūl al-taqwīm wa-'l-mawālīd (which also deals with arithmetic, chronology, and astrology) and his Ghunyat al-fahīm wa-'l-tarīq ilā hall al-taqwīm. However, his important set of auxiliary tables for facilitating the calculation of planetary positions, entitled al-Durr al-yatīm fī tashīl sinā'at al-taqwīm, has been investigated by E. S. Kennedy and D. King. These tables contain numerical entries for the Sun, Moon, and planets. Ibn al-Majdī's auxiliary tables, supplemented by his contemporaries and successors, were extremely popular in Egypt up to the 19th century. Ibn al-Majdī's scientific interests included astronomical instruments. He composed numerous works, often didactical in character, dealing with the astrolabe, the theory of stereographic projection, the use of the standard astrolabic and sine quadrants as well as several unusual varieties of quadrants, and works on sundial theory. Among his writings we also find treatises on the determination of the lunar crescent visibility, a topic of prime importance to Muslim religious practice since the Islamic calendar is lunar. Ibn al-Majdī also dealt with the applied problems of finding the qibla (the holy direction toward Mecca) and the orientation of roof ventilators. Charette, François , Ibn al-Majdī: Shihāb al-Dīn Abū al-'Abbās Ahmad ibn Rajab ibn Taybughā al-Majdī al-Shāfi'ī. In Thomas Hockey et al., The Biographical Encyclopedia of Astronomers. New York: Springer, 2007, pp. 561–2. (PDF version). Brockelmann, Carl, Geschichte der arabischen Litteratur. 2nd ed. Vol. 2 (1949): 158–159; Suppl. 2 (1938): 158–159. Leiden: E. J. Brill. Al-Sakhāwī, Shams al-Dīn Muhammad, Al-Daw' al-lāmi' fī a'yān al-qarn al-tāsi'. 12 vols. Cairo, 1934–1936, vol. 1, pp. 300–302.